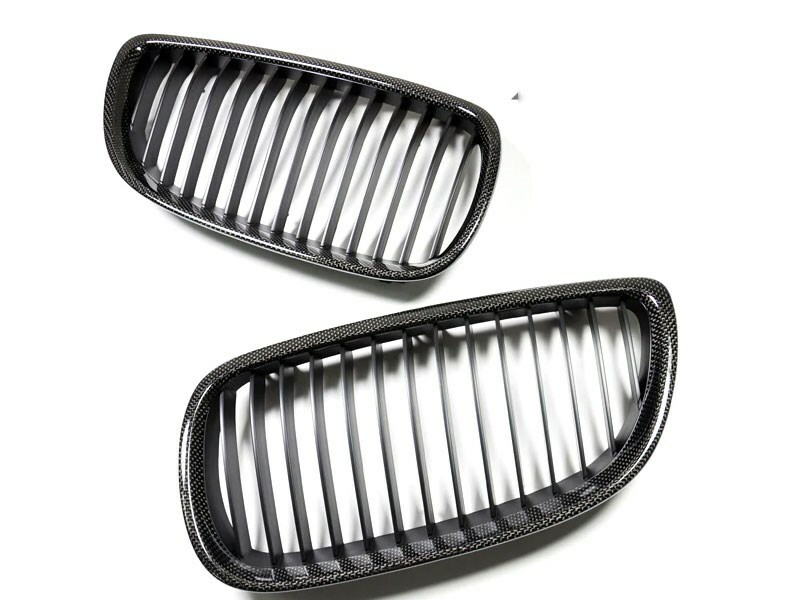 Give your BMW E92 or E93 3 series a personalized touch with these carbon fiber kidney grilles. 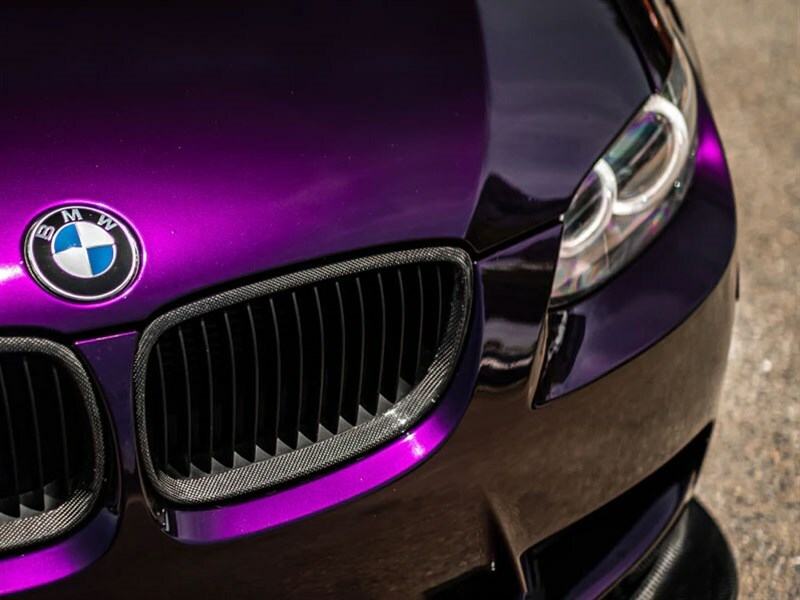 Perfect addition to any stock or modified car, these E92/E93 Carbon Fiber Kidney Grilles go great with any color vehicle. 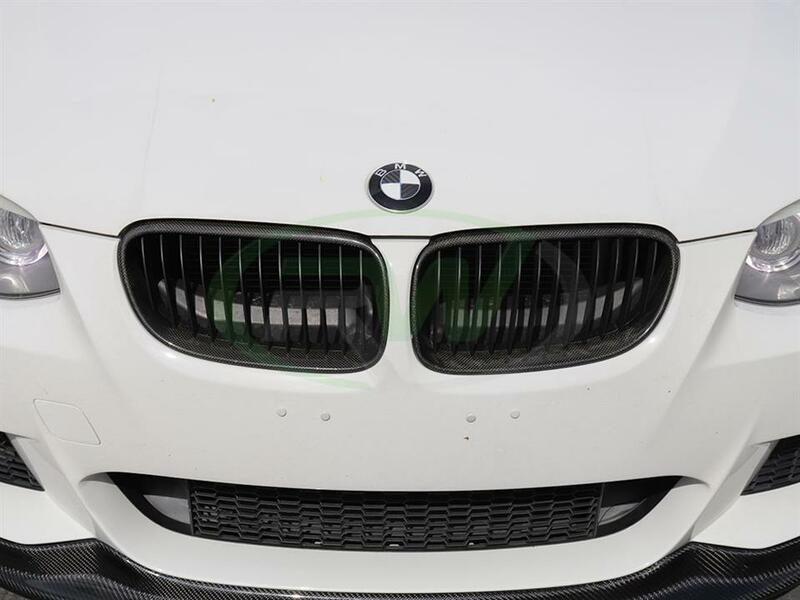 To ensure these BMW E92/E93 Carbon Fiber Grilles stand up to the elements they are finished with a clearcoat to prevent discoloration or damage from road debris. This product is not a cheap overlay like some grilles. 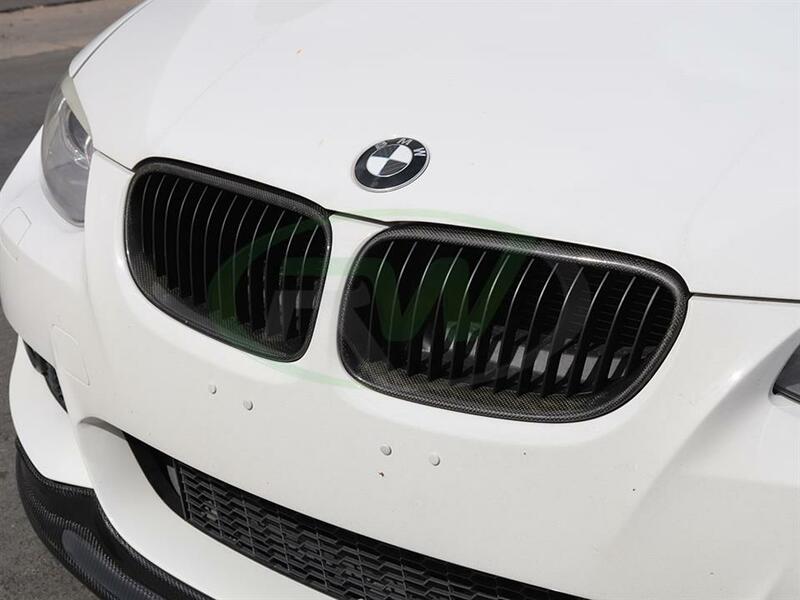 Our CF grilles are manufactured from high quality ABS plastic that is then overlayed with 1x1 plain weave carbon fiber weave. Takes the place of your factory grilles with 100% plug and play installation. Choose RW Carbon for your CF E92 and E93 grilles and get prompt shipping and an item that looks amazing. Professional installation is recommended, however can be completed by most enthusiasts. All you will need is some standard hand tools. 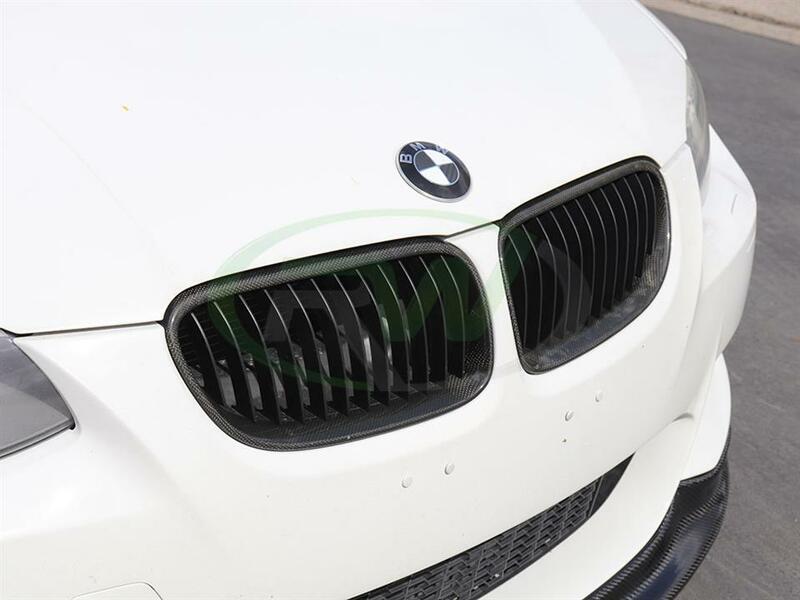 The grilles simply clip into your existing grille location. At RW Carbon we take the time to quality control every single piece that ships from our warehouse. When you order from many companies online they are shipping a product straight from overseas that has not been quality controlled. 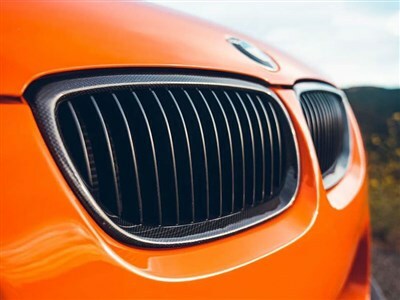 By choosing RW Carbon we make the promise to deliver you a consistent, quality set of carbon fiber grilles that are shipped from our Southern California location. When you choose RW Carbon you are getting a premium carbon fiber item that is free of scratches, chips or overall poor CF construction. Additionally, all products shipping from our warehouse are meticulously inspected, and packaged to ensure you receive the best possible item.